Athenry's inner ward embankment enclosure of Rath Cruacha. Queen Medb erected similar sets of outer ward embankments as told in local Magh Muc Dhruim mythological wild boar chase sagas. Vestiges survive. 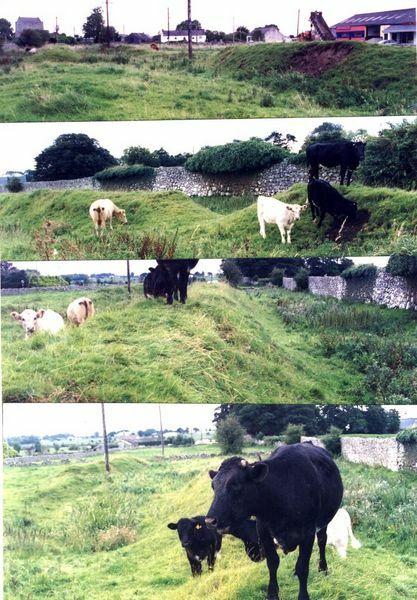 Cattle give a visual idea of the height & width of the dykes in their present state of defacement. Sidhe Boidb (Boy Hill) & Lugh Bhrugh at top left corner of lower photo.